The accident information system for major collision is achieved by using pressure sensor GPS and GSM. Sensor having its own amplifier and the amplifiers is connected to the micro controllers and the micro controller has the two connections first one is the display unit and the second one is the GSM informer unit. The model having one four wheeler chassis frame with pneumatic cylinder and the microcontroller integrated with electronic system, the cylinder is connected with front axle and rear axle. Both axle frames are joined through telescopic arrangement if the chassis frame get any impact through collision then the pneumatic cylinder having pressure relief valve was opened. The pressure sensor was connected with the electronic system. The pressure sensor finds the pressure at the time of collision and sends the signal to electronic system. The electronic system will use the signal and send the information as text message to the present contacts by the program in the electrical system automatically. Data communication via various electronic devices helps us to transmit data at high speeds over large areas. This will helps to the vehicle owner or related persons to take some actions to rescue from the accident. This accident information for major collision was best suited for call taxi firm. The main advantage of this project is the information transmit was only occur when major accident occurred not for silly minor accidents so the respected person may free from some unwanted mental stress. Vigneshwaran G, Sivadhevan S, Hariprasad A, Prabhu N. "Accident Information System for Major Collision in Vehicles." 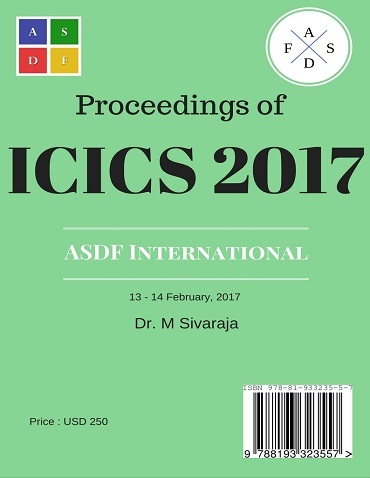 International Conference on Intelligent Computing and Systems (2017): 46. Print.